While Notch, Carl, and Daniel are all off at E3, Jens and the others have stayed behind to continue work on Minecraft. Jeb has just tweeted that pistons are working in single player, as well as in SMP, however the latter looks glitchy. He also mentioned that they will not be called pistons, but what they will be called has not been determined yet, either. Another reveal, is that there are plans for two types of pistons, one that is normal, and another is sticky. The sticky one presumably can stick to the block it pushes, and pull it back after it is deactivated. finaly, i was wondering how they would give them a fanasy look. but i think it looks good. i cant wait for them in smp. this is going to change traps and redstone creations for ever! they said it wasnt "fantasy" enough. it looks a bit flimsy though. so it wont be as good for doors. Sweet stuff. Can't wait to mass produce 'em. What was wrong with Hippoplatimus' design? Hmm.....I think they should be a half-block thicker. I can see all the floors and walls of my building being made of pistons now. yep what the guy above me said! Slimeball to make sticky, and cactus to make "spiky"? Hope they have their own texture, rather than wrapping them with the plank and cobble texture. 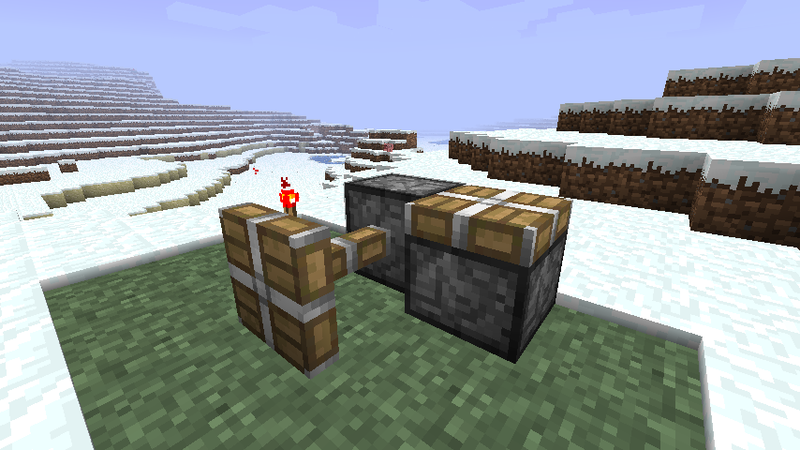 So basically the Piston mod. @Davve They looked too modern.